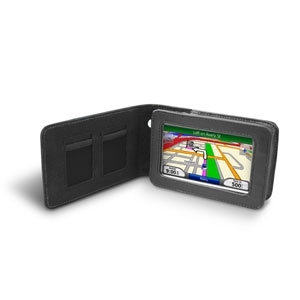 Get durable all-around protection for your Garmin device with our sleek carrying case. The stylish leather case supports your device while the soft inner lining protects it from scratches. Open the flap to reveal pockets to store your SD cards, and secure it shut with the hidden magnets.